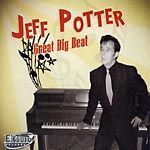 Jeff Potter (who plays piano, guitar, drums, organ) with the help of a cast of fine musicians (including Betsy-Dawn Williams and guitarist extraordinaire Graham Tichy) offers here a very good self penned album full of piano led rock'n'roll ("High Octane", "She's Got A Great Big Beat"), doo wop ("She's So Explosive" with excellent bass vocal from Tichy),ballad ("I Can't Believe", "It's A Busy World") and a couple of instrumental thrown in for good measure "Golden Roll" (a tune with a strong Bill Dogget's Honky Tonk feel on which Potter plays organ) and the rockin' (with a 60's vibe) "the Romp". 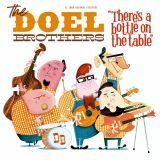 You can hear the influences of Jerry Lee Lewis (of course), Fats Domino, Buddy Holly (on "Some Of The Time") and more modern bands like The Blasters. Truly a great rock'n'roll album.